There were more top performances in the latest round of action and one player hits 10 appearances in this season’s All-Star Five. A return to the lineup for Plymouth’s point guard after helping his side to two wins on the weekend. 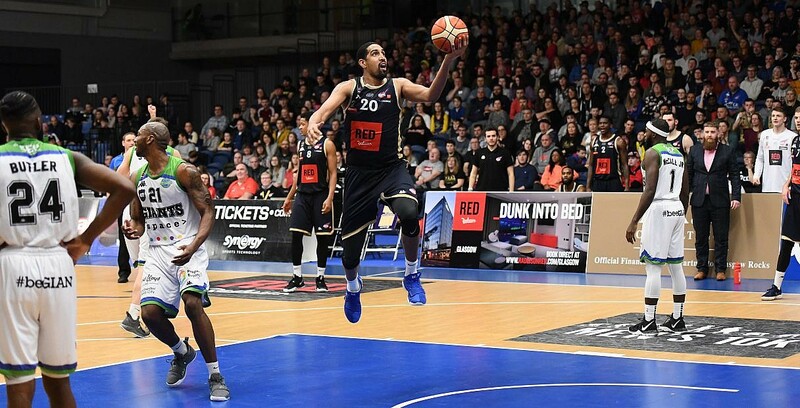 Wilcher scored 19 points in the road win at Crystal Palace before putting up 21 points – including 5 of 7 shooting from 3-point range – along with six rebounds and seven assists in the Raiders’ convincing home victory on Sunday. The high-flying American starred in the Sharks’ success at the Eagles Community Arena. Williams finished with 26 points as Sheffield edged out Esh Group Eagles Newcastle in a 72-76 victory to remain on course for another appearance in the post-season. Another appearance for Nicholas – 10th of the season in fact – after following up the impressive game-winner against London City Royals with his second triple-double of the season. The American posted 14 points, 13 rebounds and 10 assists in a strong home win over Worcester to give his side a major boost of making the benecos BBL Play-Offs. The Croatian forward helped the Giants to victory against London City last Thursday after posting 27 points and 10 rebounds for a double-double. Granic also added five assists to his clinical display to keep his side alive in the hunt for the post-season. Achara played a major role in the Rocks securing a 10th consecutive win at home after posting 20 points on 7 of 10 shooting against Cheshire Phoenix. The former GB captain also contributed eight rebounds and three steals as Glasgow overcame Cheshire Phoenix in an 86-76 victory. How to watch LIVE action in the BBL this weekend?